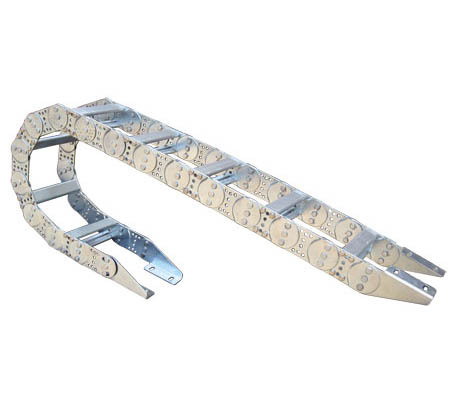 TL series drag chains are mainly consisting of chain plate (top quality stainless steel with chromium plated),supporting board (extruded aluminium alloy) and pinshaft (alloy), etc. There is no relative motions between the cables/rubber hoses and the drag chains, giving no deforming or twists. The chromium plated chain board has very nice-looking appearance and has very rational construction and flexible and high strength. It is reliable and easy to operate, install, dismantal or assemble. It is worthwhile mentioning that the anti-wearing performance has been improved greatly due to wear resistant material and alloy pinshaft are used. The product is flexible to bending and has low resistance, giving low noises. It can be used for a very long period of time without any deformation or hanging down. 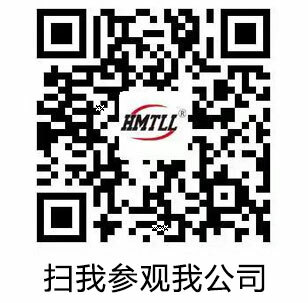 The product is nice-looking, which makes the machine tool unit nicer looking as a whole and makes the machine tools and machineries more competitive in the international market. 1. The drag chain can adapt to max. moving speed of 40m/sec. 2. When at the max moving speed, the sound pressure of noises shall not be greater than 68 db. 3. The service life of the drag chain shall not be less than 1 million times(reciprocating). 1.Drag chains are produced by using ltalian technology. 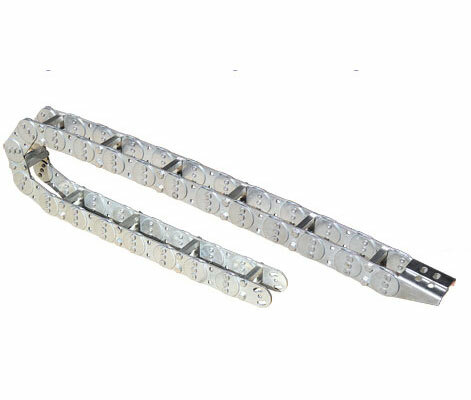 2.When non-standard bend radius or non-standard drag chains are required, we can make them according to the user`s requirements. 3.When the max. 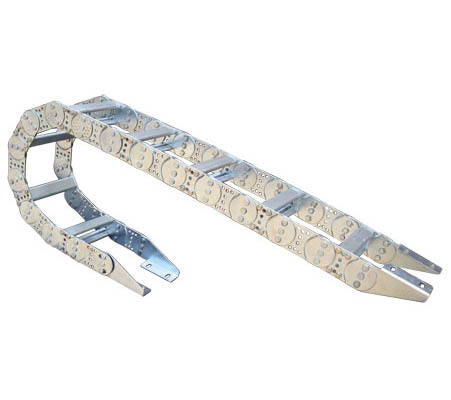 width Bmax is exceeded, compound type drag chains that consist of 3 chain crawlers can be used. See figure below. 1.The hole diameter of the inner cavity of supporting board D1= d+0.1d(round number). Where, d=outside diameter of cables, wires, liquid/gas hoses. 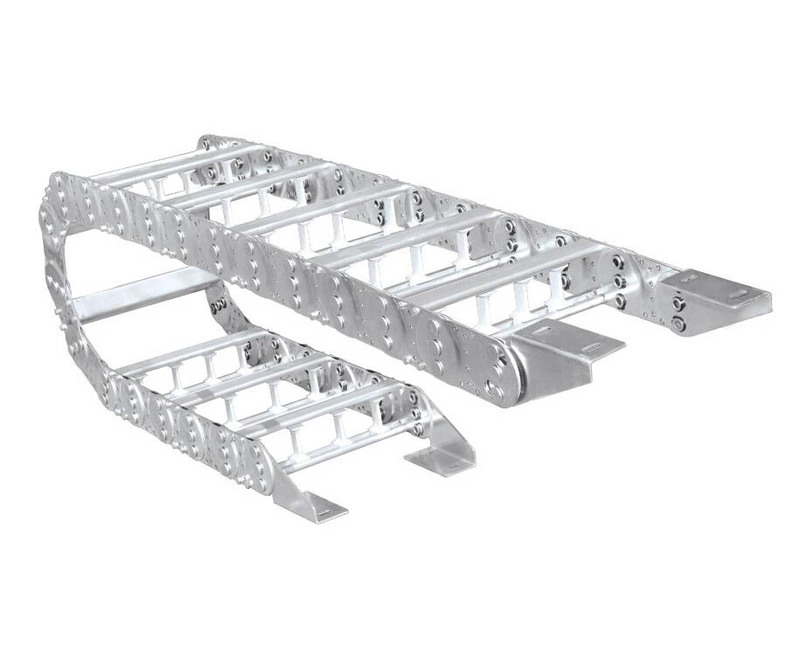 2.The height of the supporting board and the model number TLXX of drag chains depends on the max. hole diameter of the inner cavity of the supporting. 3.The bend radius depends on the functions of the drag chains. (1)When there is a large load from larger calibre or cables on the drag chains, high strength model I supporting board (integral) should be used. 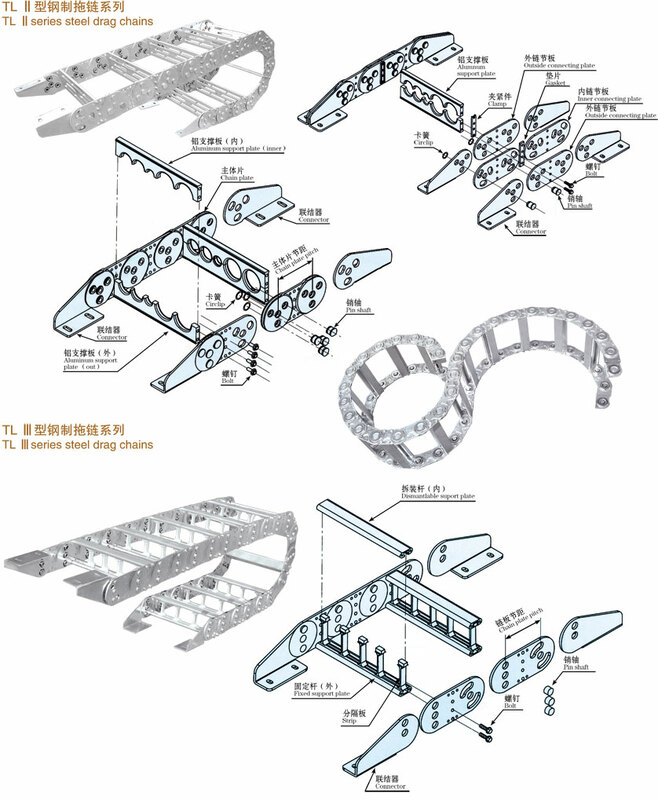 (2)When the size of the connectors are greater than that of the hole diameter of the inner cavity of supporting board or frequent assembly or dismantal operations are required, type III supporting board (frame type) can be used. 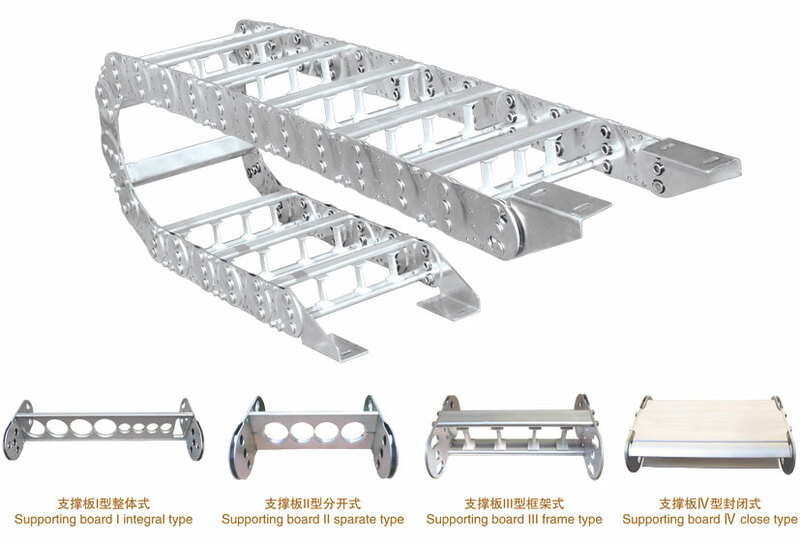 4.The width of supporting board B1 can be decided according to the quantity of the cables installed so that the width of the drag chain B can be arrived. 5.When limited by locations or environment and if bracing board with steel straps are needed, please contact our company for solutions. One or more drag chain boards can be installed on a wider drag chain, because the max. length of the supporting board is 600mm-650mm. This arrangement can also improve the stability of the narrower chains. In this way, the conduit and the cables can be separated from one another by a third chain board. Note: Parameters D,12,e be used for GLE type and f,j,k for TL type. Note that the pressure of a hydraulic pipe may extend or contract downward, so the elasticity should be taken into consideration, especially under high pressure or with long length.